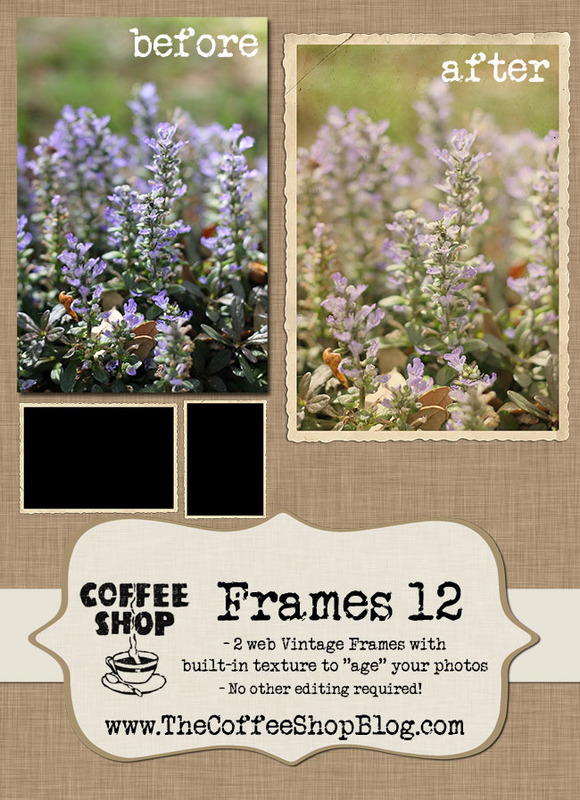 The CoffeeShop Blog: CoffeeShop Frames 12 - Vintage Frame and Edit! CoffeeShop Frames 12 - Vintage Frame and Edit! I love vintage photos, and I had so much fun creating these two new vintage web frames. 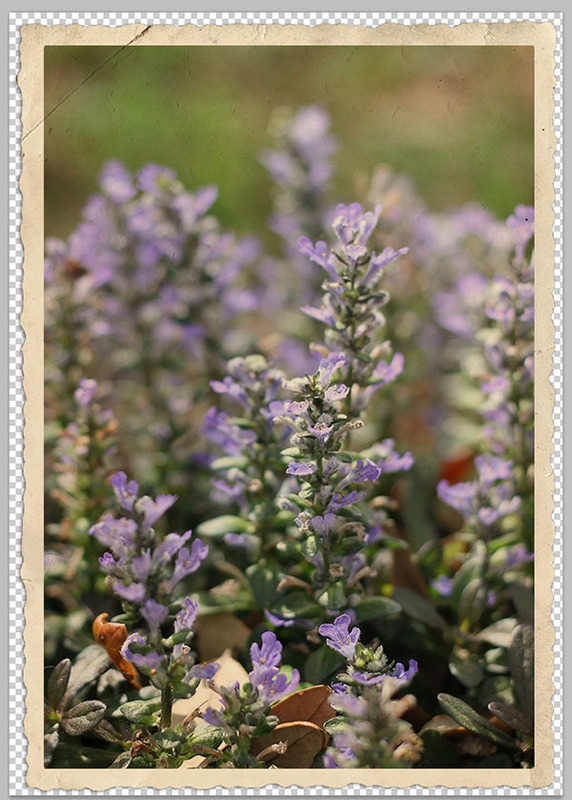 These are unique as they have a vintage texture within the layered frame that you can use to instantly age your photo, so no messing with actions or additional adjustment layers! I used a paper texture from PlayingwithBrushes from Flickr in this frame. 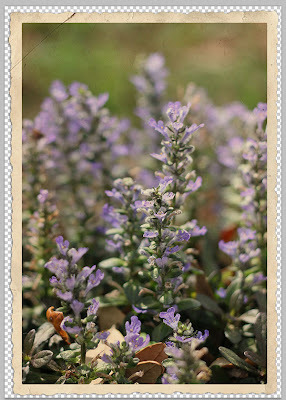 She has a huge selection of gorgeous vintage textures, so please check out her page. 2. Open the vintage frame. It will have 3 layers. Make sure the Clipping Mask layer is selected. 3. Click on the move tool (v), click on your image, and then hold down your left button and move it over on top of the frame. 4. 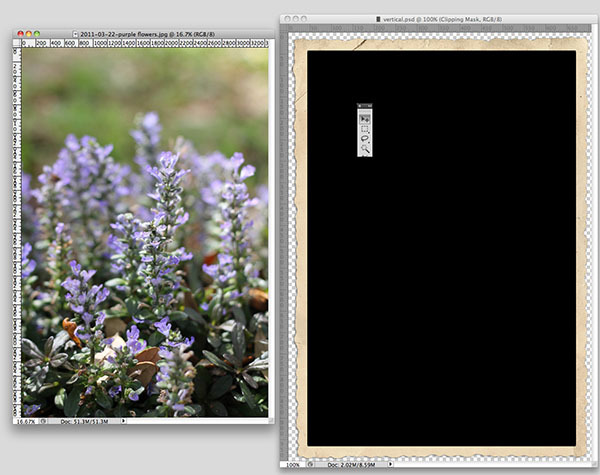 Group the image to the clipping mask (if you are new to grouping, check out my Clipping Mask Tutorial). 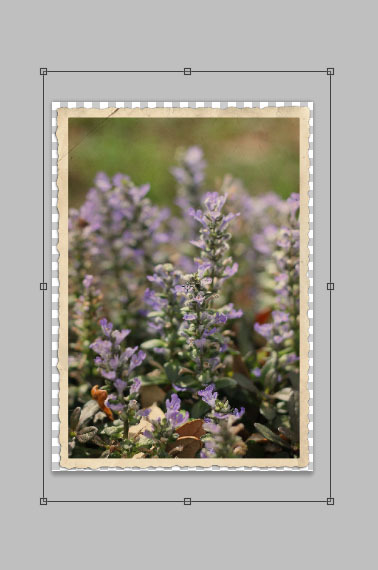 Make sure the image is above the clipping mask and below the Vintage Texture as seen below. 5. Free Transform your image to fit in the frame (Ctrl-T). Hold shift if you are using Photoshop, don't hold shift and make sure constrain proportions is checked in PSE before dragging or your image will be distorted. 5. 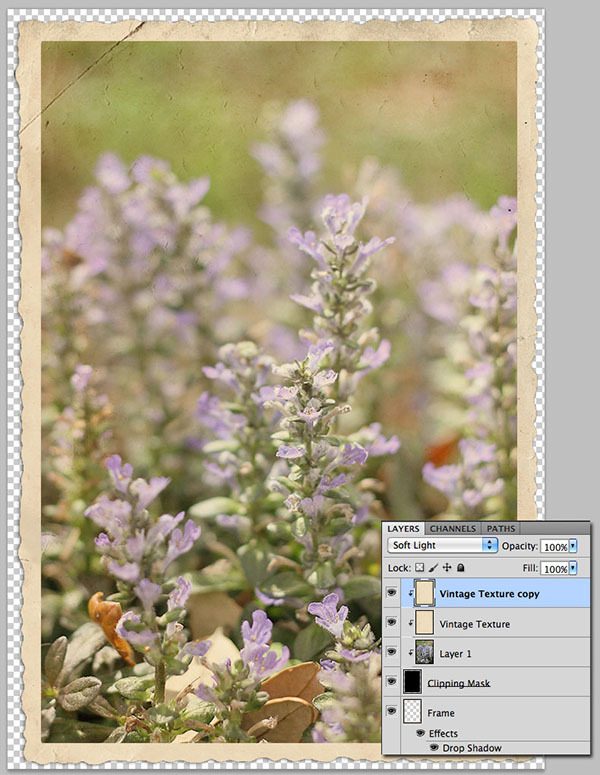 The Vintage Texture layer is preset to Multiple, blending mode 100%. Your image is now instantly vintage! 6. I wanted a brighter image, so I made a duplicate of the Vintage Texture layer (I clicked on the Vintage Texture layer, Ctrl-J, and then grouped the copy with the original texture later, see below) and put that layer in Soft Light, 100% blending mode for the final image seen below. I love the distressed effect. I had so much fun making these frames and putting together this little tutorial. Please post your before/afters in my CoffeeShop Facebook Page if you can. I would love to see your results. Download the free CoffeeShop Frames 12 Vintage set HERE or HERE. The CoffeeShop Frames 12 are also included in my CoffeeShop Design Pack. This is really wonderful ! 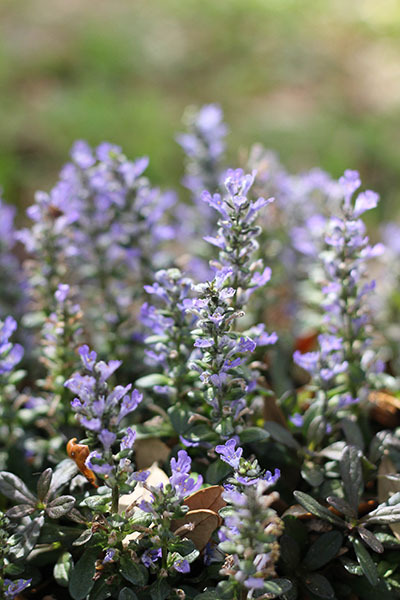 I'm in Austin and can't find bluebonnets ANYWHERE!!! Pink Trees, I LOVE my iMac! Seriously the best computer I ever bought. Always love your frames! Also- dropbox worked great. I had issues with Mediafire. Love the frames...and the dropbox! I've been using dropbox with my handbell choir for about a year and never had a problem with it! Thank you! The Drop Box worked fantastic! LOVE, LOVE, LOVE THE DROP DOWN BOX. Also I love your site and your products. Thank you so much for this post. I want to let you know that I posted a link to your blog in CBH Digital Scrapbooking Freebies, under the Page 3 post on Jul. 16, 2011. Thanks again. Always find Drop-Box WAAAAY better! Only suggestion is that knowing the size of download would be helpful. Thank you for your neat stuff. Thank you so much for your tutorials. I am learning a lot of techniques. You ROCK!!! Thank you sooooo much! You are awesome! Dropbox is much, much better! Absolutely LOVE dropbox. Thank you again! Another amazing freebie, thank you so much Rita! And the dropbox solution is soooooo much better! I've been using it for about a year now, I like it a lot! Thanks for all of the wonderful freebies you so generously share! 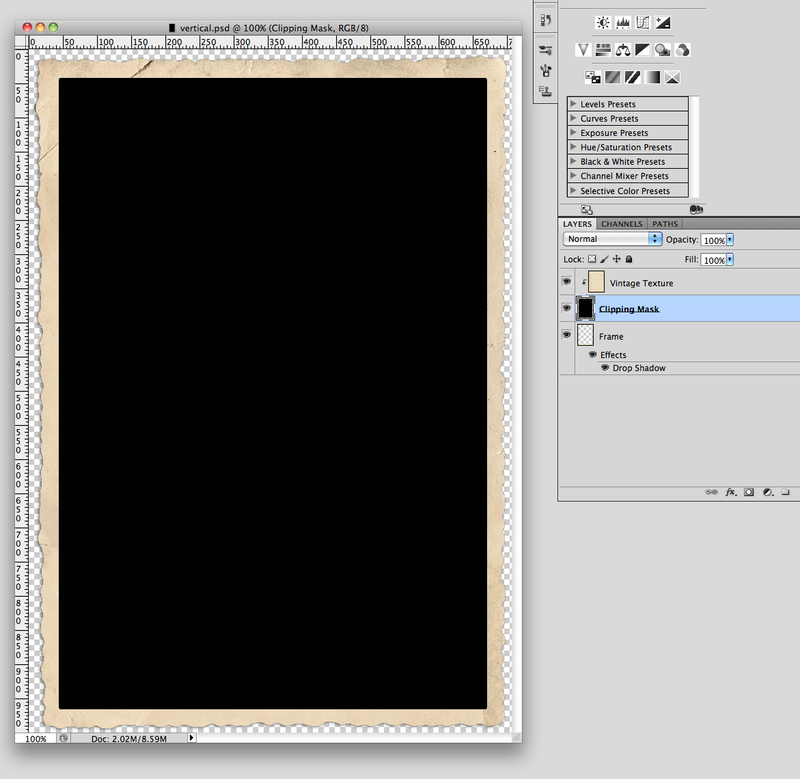 Love these vintage photo frames, and Dropbox rocked...instant download without going to another screen. Yay! Thank you Rita, this frame and texture combo looks great, can't wait to try it out! Thanks again! You save me TONS of time! If only I could be as good at making these things as you do... you're talented and thanks so very much for sharing them with the world! The Elements team is preparing the COVER of the September/October Elements magazine, this image was selected with many others. The final image cover has NOT been select yet. He will let me know. I asked Rick if the image is selected, please give Rita credit for the creation of the Vintage Frame #12. Thank you again for what you do. I will alert you if this image is selected. Rita, You are the best! Thank you so much for sharing!! LOVE the drop-down box downloading. I hadn't visited your site for a while and found the download so easy and hassle free. Thanks for your awesome frames! Thank you so much! also for the very fast download. Works perfect!! I was officially notified by Photoshop Elements Technique Magazine, OUR image made the cover. I say our because your Vintage framing really popped this image. Thank you so very much. I am being sent additional copies of the magazine and would love to send you a copy if you like. My email address is jayco2001@yahoo.com. 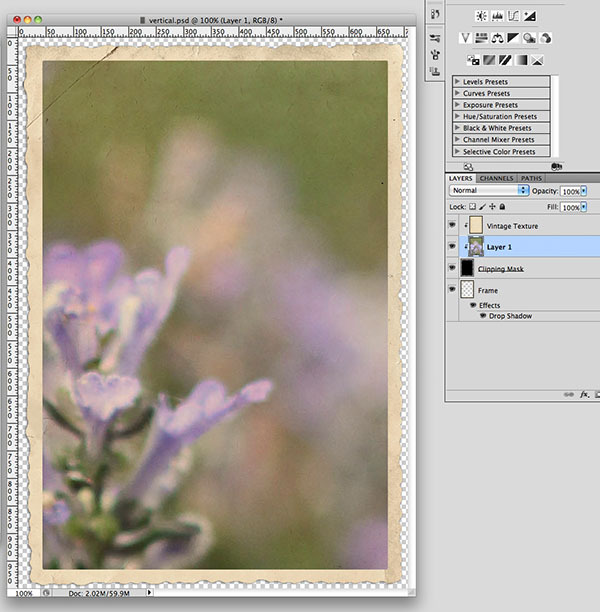 Here is a link to Photoshop Elements Blog, I am not sure if you have to be a member to view their blog. Please let me know if you are not able to see. 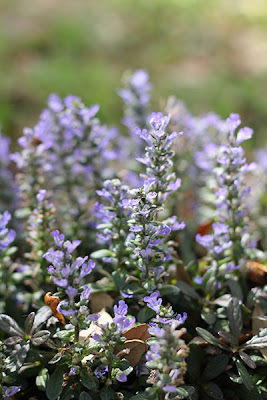 Rick LePage of Elements posted a nice write-up and linked back your blog for others to see. Take care and thank you so much for what you do. Your efforts do not go unnoticed. Steve, congratulations!!! The cover looks amazing and I am so honored to be linked. Wow, you made my day!!! I love the dropbox download! I've been using dropbox for my own files for a year or so, and it's FABULOUS! Just located your frames and into them in a BIG way! Also first I've seen of Dropbox and my I'm in love with that too :) The best thing I've used to download in an age! I'm still learning so much and these are such a sweet addition to use on photos. I hope you can help me! If you get some time, I would so appreciate any suggestions you might have as to what I'm missing, and how I can get rid of that checkerboard boarder! My email address is: borneimagephoto@gmail.com. Thank you so much for sharing! !I love your work! Thank you so much for still making these lovely, lovely downloads that you share. This is one I will download and use. Since I'm not the best at using PS, I really appreciate you taking time to explain how to use these. Warm appreciation for that too. PS: I began using Dropbox last year and really like it! Thank you so much for all the freebies and tutorials you so generously provide. Dropbox works much better than MF; I use it all the time for syncing my work between my Mac and Windows computers when I'm away from home. Just wanted to say thank you for sharing all the great actions, frames and tutorials! I'm having lots of fun touching up my children's photos!